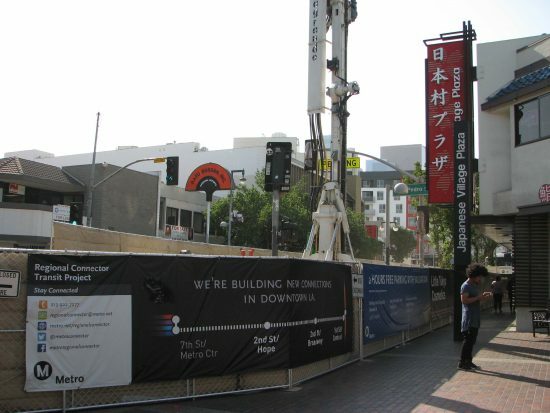 Metro has announced full closure of Second Street between Central Avenue and San Pedro Street in Little Tokyo for one day. 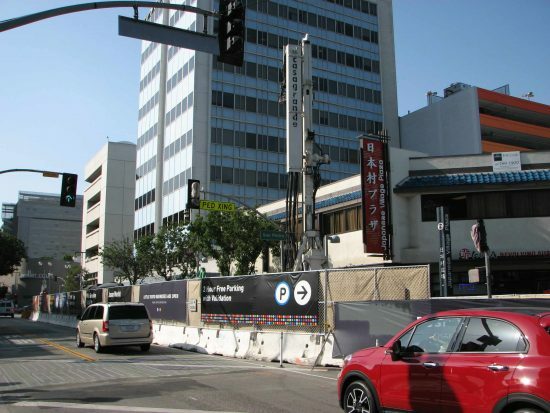 The Regional Connector Constructors (RCC) will begin street repair efforts to restore Second Street back to its original condition prior to construction. Work is anticipated to last from 8 a.m. to 6 p.m. on Saturday, July 16. Activities include saw cutting, curb and pavement replacement, and reinstatement of the existing traffic striping. Local access to Sho Tokyo Joe’s Parking and Brunswig Square Parking will be available by entering at Second and Central. A construction crew member (flagger) will be present to help anyone who needs access. Pedestrian access will be maintained at all sidewalks. The mid-block crosswalk will be restricted intermittently throughout the day. Follow the pedestrian detour signs that will be posted. Pedestrians will be directed to the Second/San Pedro crosswalk. Westbound Second Street will be detoured by making a right turn on Central, left turn on First Street, left turn at San Pedro, and back on Second. Eastbound Second Street will be detoured by making a left turn on San Pedro, right turn on First, right turn on Central, and back on Second. For more information on the Regional Connector project, visit www.metronet/projects/connector/.